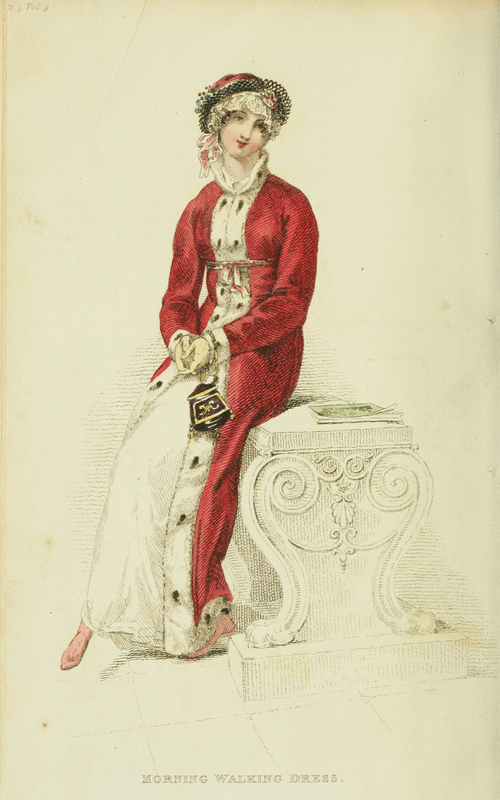 Love this 1813 Morning Walking Dress from Ackermann’s Repository. Perhaps she’ll meet a duke on her walk? Titles of the Peerage – Get ready for a lot of information. Do you need to know how to address a duke versus an earl? How to address the wives and sons and daughters of different members of the peerage? And what exactly is a courtesy title? You’ll find everything you need to know (and a lot more) on this page. Gaelen Foley’s History Articles – All very helpful, but I particularly like the articles on the layout of the Regency townhouse and men’s and women’s wardrobes. Jane Austen’s World – Awesome blog. Every topic imaginable from fashion to food to social customs. I’ve also found good information on the Word Wenches and Historical Hussies blogs. What Jane Austen Ate and Charles Dickens Knew by Daniel Pool – A good general reference book, but keep in mind that Victorian England and Regency England aren’t always the same (this is good to keep in mind whenever you’re researching). Sometimes people tend to transfer Victorian customs and objects onto the Regency. The Jane Austen Handbook by Margaret C. Sullivan – this book doesn’t delve too deeply into any one topic, but it’s a good overview of upper class Regency customs from the female perspective. The Regency Country House by John Martin Robinson – beautiful pictures of country houses from houses of the gentry to royalty. 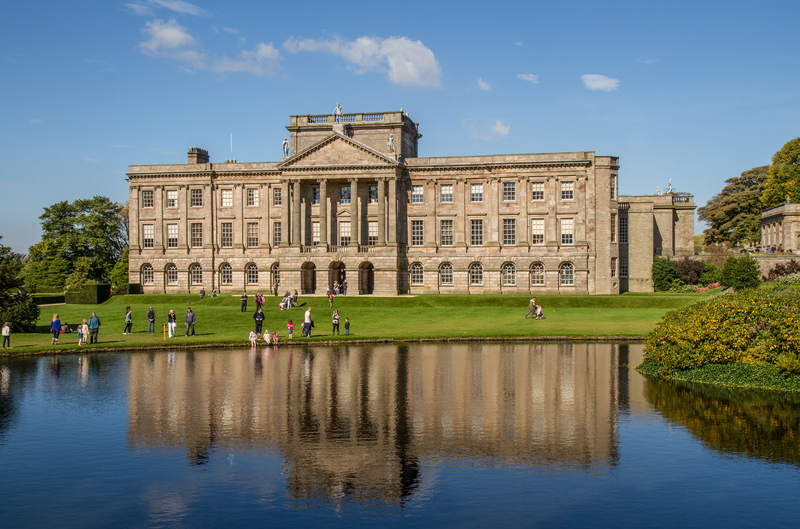 Lyme Park, the exterior location of Pemberley in the 1995 Pride and Prejudice. Period Style by Mary Gilliatt – Goes over room furnishings, decorations, colors, etc. Not specifically about the Regency but it has a section on it. 1811 Dictionary of the Vulgar Tongue by Francis Grose – In my novella, The Wager, this is Anne’s favorite book after the fictional Confessions of a Courtesan. Good for looking up scandalous insults. Available for free at Project Gutenberg.